Speedpro Imaging - Services | Visit Butler County Pennsylvania! Speedpro Imaging is the leader in large format digital printing and graphics. We offer complete design, large format printing, and installation services. We produce extreme resolution graphics that will support and enhance your brand & marketing efforts. Speedpro specializes in retail/brand graphics, tradeshow displays, event signage, wall murals, window graphics, banners and vehicle graphics, among other specialty products. With 20+ years of industry experience, an uncompromising commitment to research and development and an appreciation for cutting edge technology, Speedpro delivers superior digitally printed products on time and on budget. Our resolution levels are the highest in the industry with ‘photo-realism’ clarity at up to 1440dpi. Beyond the equipment specs, Speedpro takes quality to the next level. Our innovations in custom profile writing and color correction/matching techniques are second to none. Our technicians continually fine-tune our systems to produce amazing color and clarity, producing results and performance that often times our equipment manufacturers have never experienced. 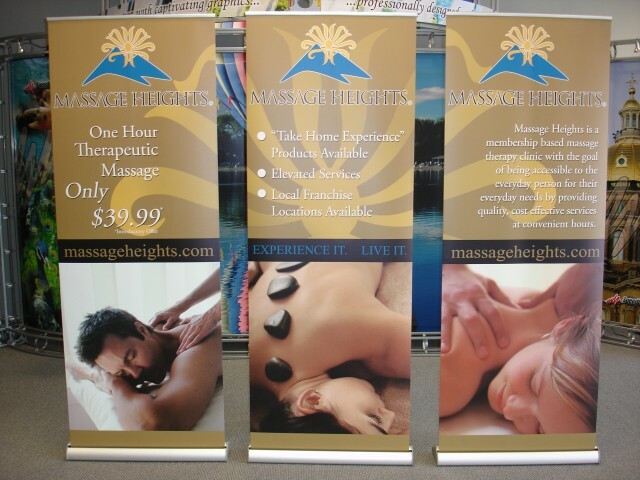 Services: Displays, signage, vehicle graphics, decals and more! Products: Trade Show Displays & Exhibits, Vehicle wraps, Banners, Window Displays, Floor & Sidewalk Graphics, Elevator Wraps, Photo Enlargements & Reproduction, Art Reproduction, Wall Murals, Custom Decals & Labels, Posters, Table Top Displays, Political Signage, Architectural Signage, Courtroom Presentation Graphics, Outdoor Displays and much more!